Take a look at the GREEN line that rises over the 40 year time span. 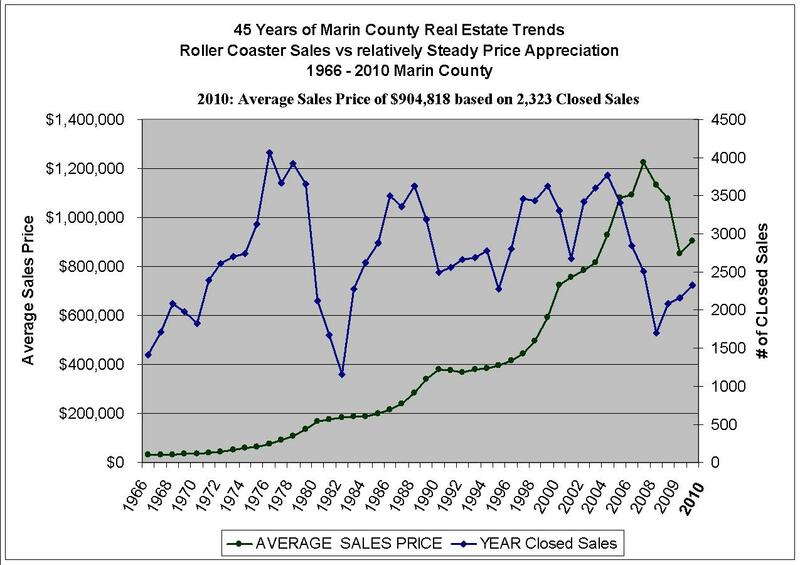 That is Marin average home price. Takes a dive for a couple of years…and what do you know? A slight tick up now! No one knows whether that’s the beginning of a trend, or whether Marin Housing prices are going to bounce around on the ‘bottom’ for awhile…but we like to see that upward movement.